In the hands of Lewis Gordon, What Fanon Said, becomes what Frantz Fanon says to us today. The book brings alive the revolutionary thought and practice of Fanon into the continuing struggles for structural economic, political, social, and psychic transformations of our world. 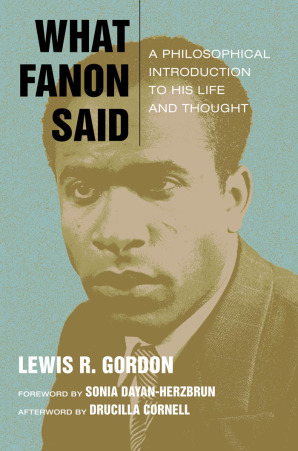 The struggle against anti-black racism is an integral part of it, and Gordon's Fanon is the many-sided thinker who saw it all and give it words of fire in his works, particularly Black Skin, White Masks and The Damned of the Earth.